The husband and wife team are ex-state senator and onetime Republican gubernatorial primary candidate Josh Penry and his wife, founder of Republican PR and fundraising firm Starboard Group, Kristin Strohm. Colorado has emerged as a key battleground in the national debate over shale drilling and fracking. The state's oil and gas industry has over 50,000 hydraulically fractured wells, and plans to drill many thousands more every year into the foreseeable future. These wells have caused severe water and air pollution problems, and have sparked a grassroots movement against drilling and fracking across the state. Concern over pollution from fracking culminated in a series of local laws to ban or regulate fracking, efforts that sent shockwaves through the shale industry. To combat the growing threat of local control over drilling practices, the shale industry began funding political strategies to undermine local action against drilling. Enter Penry and Strohm, who who helped develop the shale industry's sophisticated astroturf campaign strategy that was created in concert with legal strategies to override popularly-supported local drilling restrictions. made the intentions behind the legislation clear by promising a 15% increase in gas drilling in the state if the bill was passed. Josh Penry is apparently unconcerned about the enormous contribution that gas extraction and combustion makes to climate change, explaining during a debate that it doesn't "keep [him] up at night." However, studies of highly fracked areas in Colorado raise alarms for the climate. One recent study of the Front Range drilling area in Colorado found a methane leakage rate of 19.3 tons per hour. Methane is a powerful greenhouse gas, at least 86 times as powerful as CO2 at disrupting the climate. 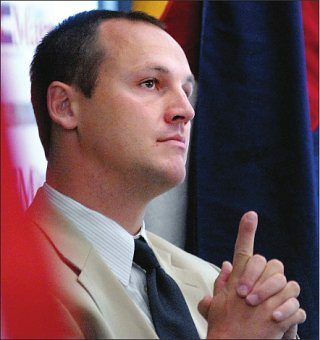 After surprising his staff and supporters by backing out of the Republican gubernatorial primary in 2009 and serving out his time as State Senator, Penry became Vice President of EIS Solutions, a public relations and political strategy consulting firm that specializes in "grassroots coalition building." The group has been a key cog in the fracking industry's pushback against community resistance and the state of Colorado's gas regulations. EIS advertises their ability to create a "path to advocacy." In practical terms, this means EIS will create non-profit and fake grassroots groups to give the illusion of widespread public support for oil and gas drilling. EIS has been criticized for repeatedly stepping outside of respectable practices, including one case in 2013 when they were caught faking signatures on an anti-regulation petition. EIS has long standing contracts with the Colorado Oil and Gas Association, the leading industry lobbying group in the state. Colorado Liberty Alliance - shares a phone number with EIS phone, and advocates against local control. Environmentally Conscious Consumers for Oil Shale - shares an address with EIS solutions and promotes drilling. Grow Our Western Economy - has an EIS Solutions phone number and the chairman is former EIS Solutions employee, now president of the Koch Brothers front group Americans for Prosperity, Justin Zvonek. The group attacks people who promote local control over drilling. The groups listed above represents only those created by EIS employees that have registered as non-profits. EIS also creates groups that have not registered as tax-exempt non-profits, thereby avoiding reporting requirements. groups from around the country about the industry's strategy to fight oil and gas drilling restrictions in Colorado. Josh Penry's ties to Vital for Colorado run deep. Both EIS employee Dan Haley and Penry's wife Kristin Strohm sit on the Advisory board of Vital for Colorado. Vital for Colorado's website is registered to Charity Meinhart, a web developer that works for both EIS Solutions and Starboard Group according to her LinkdIn account. 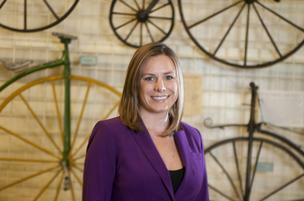 Kristin Strohm is the managing partner at her own pubic relations firm, Starboard Group. Strohm, who is an advisor for Vital for Colorado, has also set up other front groups that work in concert with Vital for Colorado to oppose drilling regulations. The Western Colorado Jobs Alliance and The Common Sense Policy Roundtable Forum were created by Starboard Group to oppose local control over shale drilling and fracking. Both groups also publicly support Vital for Colorado, creating a seemingly independent network of reinforcing voices that oppose fracking regulations, while being centrally coordinated by Strohm and Penry. Strohm worked for Penry in his run for State Senate in 2006. Penry and Strohm married in 2012, shortly after his divorce from his wife, whom he had married in 1999. The Penry and Strohm team both have connections to the national effort to reduce regulation on the oil industry through the creation of front groups, bottom-lined by oil and gas billionaires Charles and David Koch. Kristin Strohm has successfully solicited major funding from the Kochs. While Strohm was the finance director for Mike Coffman's congressional campaign, Coffman benefited from ads run by Americans for Prosperity supporting his campaign. Through Strohm, he also received the maximum possible donation allowed by law from David Koch. Starboard Group's website boasts of working for the Koch Brothers' flagship front group, Americans for Prosperity. Strohm has also hired former Koch Interns to the Starboard Group. A former director of the Common Sense Policy Roundtable, a front group created by Strohm, attended the secretive 2010 Koch strategy meeting in Aspen. Penry's EIS Solutions also has close ties to the Koch network. The director for Colorado's Americans For Prosperity chapter is a former EIS Solutions employee, Dustin Zvonek. Like the other front groups in Penry's orbit, Zvonek and AFP have been consistently working against local control of drilling regulations.